Properly belonging to the power metal camp that hybridized heavy metal with death metal technique, Ancient Wind plays fast melodic songs with conventional structure in a style influenced by melodic death metal favorites like At the Gates Slaughter of the Soul but also takes its influence from higher-energy bands in that style like Unanimated Ancient God of Evil and Merciless Unbound. 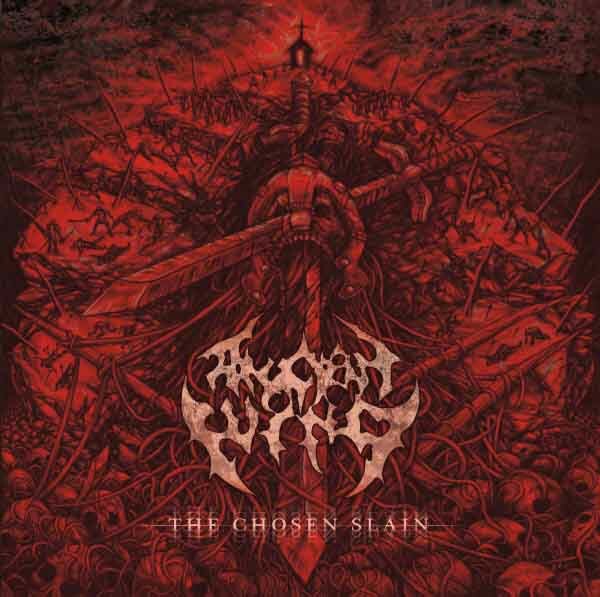 The Chosen Slain displays many strong attributes including impeccable musicianship through riffs that demand not just precision siting of chords in the technical heavy metal style, but accurate textural strumming in the death metal method. Clearly a lot of effort went into this release. With more tempo changes, song structures that wait to present conclusions until they culminate tension in the music, and a few stylistic adjustments, this could be a really excellent record. As it is now, it faces a difficult struggle differentiating itself in the melodic death metal field despite being better than most contenders. As this band gains more confidence and listens more to their own material, it is likely these changes will come naturally, and an album which strikes the listener as competent but not memorable like The Chosen Slain will give way to something more like its inspiration in Merciless and Unanimated and less like the immensely popular but saccharine and uninspiring drivel that At the Gates put out after giving up on their own art and wanting metal to be a day job instead. Cult movies must take on an attitude similar to heavy metal and horror films: as outsiders looking in at a society whose institutions and ideals are entirely corrupted by what humans wish were true, and populated by humans who refuse to see the obvious because of their socially-defined rules and ideals which deny reality. Every good horror film involves people fighting an evil or mortal threat, but first they must fight themselves and purge from within the assumptions that make them useless, then get their war faces on and conquer the enemy or perish. 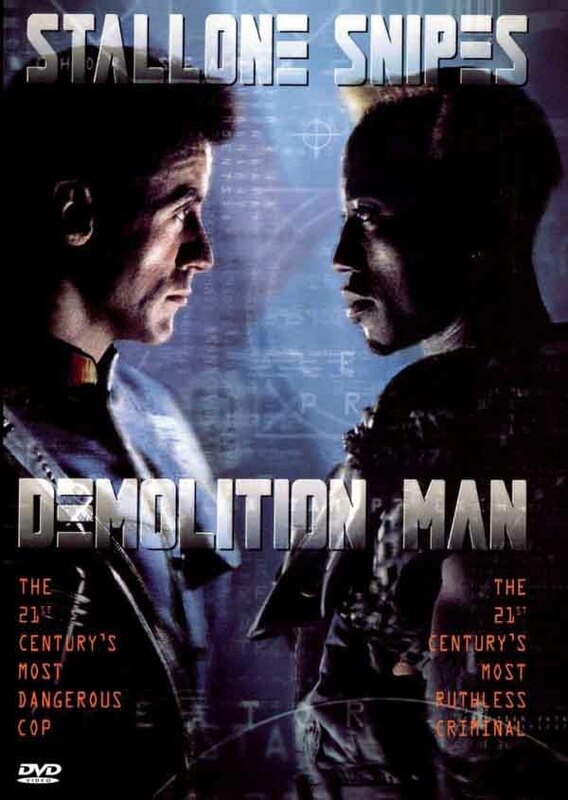 In that respect, Demolition Man is more like sci-fi horror cloaked beneath an action film. The plot is simple: ballbusting cop John “Demolition Man” Spartan (Sylvester Stallone) is convicted of mass murder for an arrest gone awry and imprisoned in a cryostasis facility. Forty years later, the vile criminal Simon Phoenix — portrayed with humor and energy by the engaging Wesley Snipes — is thawed by what looks like a computer error. Phoenix emerges into a new world: under a utopian system of government, people have become equal parts politically correct and 1980s “have a nice day” posi-culture, rendering them utterly useless against any real threat. The criminal rages across the land and in helpless confusion, the neutered future denizens thaw Spartan and send him out to get the bad guy in a decision summarized as “it takes a maniac to catch a maniac.” The movie follows Spartan as he tries to both capture Phoenix and deal with the shadowy forces that threaten revolution in this future paradise that may not be as paradisic as it claims to be. Aiding him is officer Lenina Huxley (Sandra Bullock) who although she accepts her future world as perfect, also grates against its insipid pacifism and the boredom created by its regimentation of all activity into simple steps with almost no consequences. The underlying influence on this movie is Brave New World, alluded to not only by the use of both Vladimir Lenin and Brave New World author Aldous Huxley to construct the name of the heroine, but also revealed in the type of hell into which Spartan falls: a society dedicated to avoiding conflict and maintaining safety that has eliminated all risk, adventure, masculinity and fun. Demolition Man shows us the horror of a society that we design based on our fears. This future world has no purpose except the negative purpose of avoiding bad vibes, risk and conflict. As officer Huxley discovers, this makes for not only a boring society, but a docile one which is manipulated by leaders who are not corrupt in the ordinary sense of accepting bribes, but in a moral and spiritual sense in that they wish to stamp out all defects and create a kind of varied uniformity that resembles the hipster scene in AD 2015. John Spartan, like heavy metal, represents the primal id of humanity which desires intense experience more than it wants safety like the neurotic ego. Simon Phoenix represents the lurking psychic shadow of such a civilization, motivated only to destroy because he rightfully detests the precious snowflake-world he finds himself in, and also because as someone entirely devoid of soul his only pleasures are found through dominating others. His addiction to victimization of others makes him a menace in any age, but the future world is entirely unprepared to deal with him because it has made is own emptiness a positive value. This conflict plays out throughout the film as Spartan finds himself caught between docile social engineers and anarchic revolutionaries. Naturally with Stallone in this movie it requires high levels of carefully choreographed violence, but these are brainier — taking advantage of the anticipated “cult” audience — than those in big blockbusters like The Expendables which converge on the moronic. Bullock, known best for romantic comedy roles, performs convincingly as a character who is blithely indoctrinated in her new world order on the surface, but covertly hoping for something of significance to distinguish her days from one another. In particular, her comedic timing is exceptional. Stallone also reveals why action films favor him through his ability to deliver absurd lines which are both masochistic-masculinist and cryptically insightful. As the film progresses, these characters converge on a middle ground and understand each other, which brings out one of the themes of the movie: while designing utopia is a terrible idea, the anarchic void also threatens, and people are desperate for a middle zone where they are both not living in fear of random violence and also not managed like slaughterhouse animals. Demolition Man deserves every bit of its cult movie credential. Some of these scenes are painful to watch because of the high ingenue factor of people in the future, but like other movies in this vein such as Idiocracy, the pain is necessary to reveal the full absurdity of the type of goal that our politicians, entertainers and corporate overlords routinely announce as desirable. Although this movie is hammy, it is not ham-handed in that a viewer can appreciate it as a simple story without worrying about its implications, but that layer of interpretation lurks beneath the surface and brings out an emotional depth that action films normally do not have. In this satirical treatment the crisis of humanity’s attempt to manage itself becomes painfully clear, and while these characters represent broad positions in that battle, these roles occur within the spectrum of this question and allow the allegory to work without being reduced to the level of pure personal drama. Movies such as this make us fear our wishful thinking and realize that perhaps our best intentions — with which the road to hell is paved as folklore informs us — will create a prison for our souls that only raw animal violence and blind will to crush what is empty can resolve. 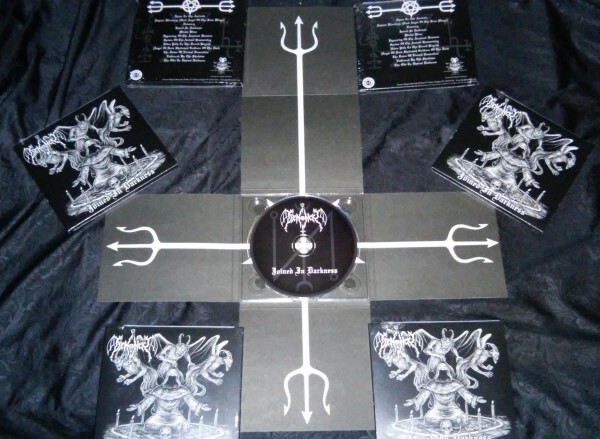 Forever Plagued Records has licensed Demoncy Joined in Darkness and issued it with an inverted-cross fold-out digipak, in addition to giving the album a remastering that may enhance the original recording. The label has posted the first pictures of the inverted digipak and it is likely that it will inflame some Hessian aggression. 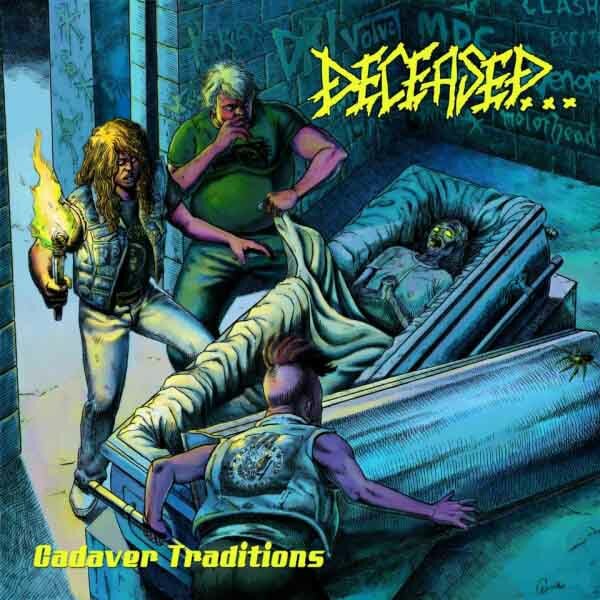 Not only is the new artwork striking, but the inverted cross motif underscores the totality of commitment which has made Demoncy one of the few USBM bands to retain a fanatical following. 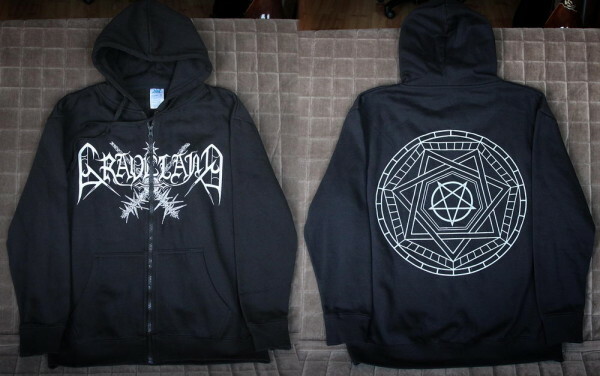 The first wave of black metal emerged out of the proto-black metal movement which appeared with the unholy union of Hellhammer, Slayer, Bathory and Sodom. From that, a second wave emerged in Norway starting with early Immortal, Burzum, Darkthrone and Mayhem. The third wave, led by bands like Ancient and Graveland, showed a willingness to refine this music into a more soundtrack-like and ambient form, going quasi-progressive in song structure as a way of evading assimilation by the rock music hordes. 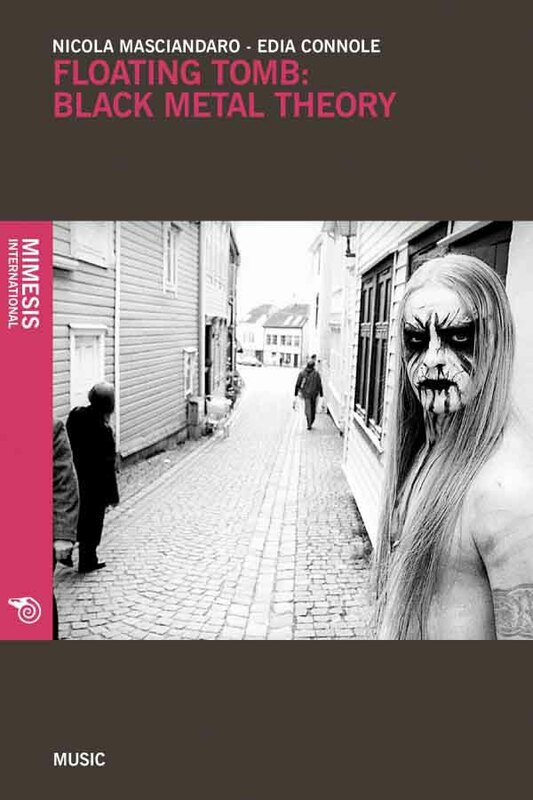 After that came the more mainstream revisitation of past black metal forms with the fourth wave, and finally the fifth wave of bands who reduced it to a form of droning punk music with minor-key motifs and black metal themes. After that, only retro and assimilation have remained.